9 Things To Know About Ringing Bells “Loyalty Cards Programme,” & How To Get Freedom 251 Phone Free [FAQ's]. Ringing bells, A company that resonated the tag: World's Cheapest Smartphone, actually worldwide. A company that created chaos within customers and more importantly the Media residing in India. If you're new to this, Let me give you a flashback. So they had launched a smartphone called "Freedom 251" which was available for Rs.251 (Nearly 4$). Later on, There were lots of controversies revolving around the same fact - Is it Real? Well, the customers here in India are still wondering that perpetually, But since we have a Freedom 251 unit at our home, We are stating it's real. In fact, we've also made an unboxing video of the same final retail version, which will be sent soon to the masses. But it nearly took the company long enough to get the actual unit out to the public, which they had stated earlier. Recently they again splashed in news by bringing few affordable Television Sets & Smartphones to the Indian market under the same concept of Freedom 251. Even after getting such a negative response by few media folks, they're still up and running, which is exciting to see. It's hard to believe that the company has made One year officially in Indian Market, So the celebrate that, Ringing Bells has come up with Loyalty Cards programme. So following is how One can easily get themselves a Freedom 251 smartphone for free by just buying a loyalty card. Let's find out more about this in Detail. Ringing Bells launches Loyalty Cards Programme & How to get a Freedom 251 Phone for free. So the Loyalty cards are comprised of three types - Silver, Gold & Platinum. The Silver loyalty card costs just Rs.500, The Gold one is available for Rs.1000 & Whereas the Platinum one would be available for Rs.2000 only. You can buy these loyalty cards from Ringing Bells's official website. Every loyalty card you use to buy their products will gift you a free Freedom 251 Smartphone. On top of that spending, the Loyalty card amount itself offers discounts varying on the products. 1. Would buying the card get me a Freedom 251 for free OR Do I need purchase something from Ringing Bells website to avail the Freedom 251 gift offer? Ans: After buying the card from Ringing Bells's website, You need to purchase a product from their Website, which could be a Smartphone, Powerbank or any TV set. Just to make it clear they have Smartphones starting from Rs. 699, Powerbanks starting from Rs.399, lastly TV's starting from Rs.9900 only. For Eg: let's say you buy a Powerbank with a Rs.500 loyalty card, You get a Powerbank & now you're eligible for the free, Freedom 251 offer. So that's how you will get a Rs.399 Powerbank & a Freedom 251 smartphone for free, which will be delivered later on starting this December 2016. 2. Hey, previously I had signed up for the Freedom 251 sale, haven't got it yet. Why should I believe that I would get one now by doing this? Ans: See we don't know about the previous sale, But Ringing Bells has confirmed us that they've sold approx 70,000 of Freedom 251 units. Whereas the rest would get, their units starting from Early December 2016. So you can be assured as the company has confirmed that. 3. So I just need to buy any loyalty card and use that Same Card to purchase any product listed on Ringing Bells website, That's it to get the Freedom 251 smartphone, Right? Ans: Yes, That's how initially you can avail yourself a new Freedom 251 for free without any signup or sale. 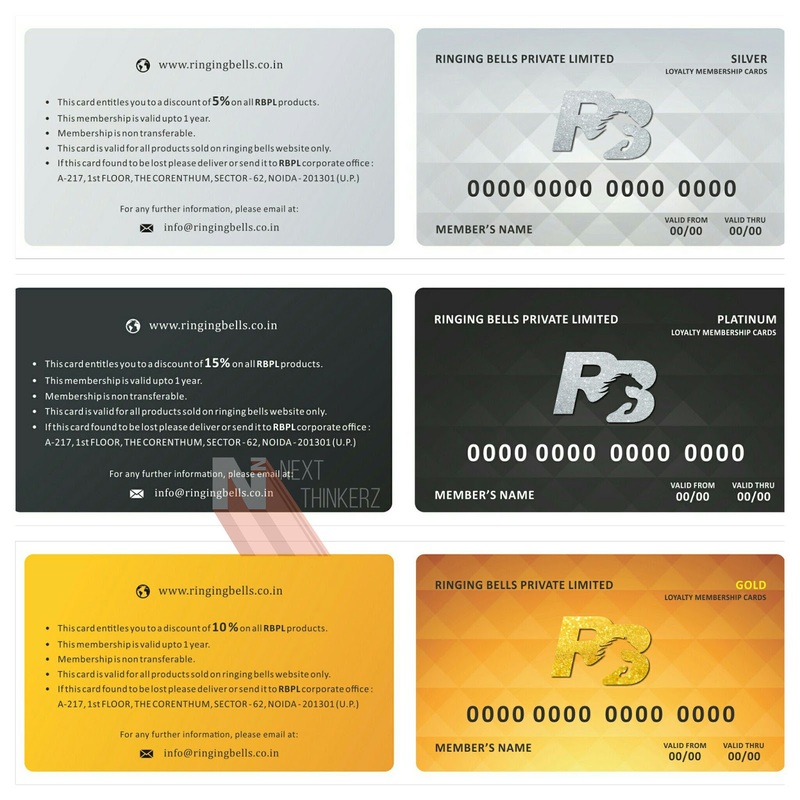 Also every purchase you make via these cards, gets you a free Freedom 251 smartphone per Loyalty card & you also receive a 5/10/15% discount depending upon your order/product bought, as an icing on the top of the cake. 4. Let's say if I buy a card, would this offer available for the same day itself? Ans: Well nope, Once you've bought the Loyalty Card, It is eligible for One year. Yes, purchase the card now and use it anytime within a One Year timeframe. 5. How many Freedom 251 Smartphones can I get for free from a single Loyalty Card? Ans: Alright so it goes like this, The Silver(Rs.500) & The Gold(Rs.1000) cards would give you only a single Freedom 251 smartphone. Whereas with Platinum Card(Rs.2000), you're eligible for Two Freedom 251 Smartphones. 6. Alright, I'm convinced, Tell me how to get the Loyalty Card and what's the process after that? Ans: So to buy these Loyalty Cards, You need to signup at Ringing Bells's website on 1st September at 12 PM. So on the date and time mentioned above, Go to their Website and complete the Loyalty card registration process. Once you've successfully registered, You should receive a 16 digit number generated online, which is needed to be saved for future references. So the Same Physical card will be sent to you via courier delivery, and the buying process will be similar to that of the Debit/Credit card shopping we do online. So I'm assuming you would get the Physical Loyalty Card with a PIN code for safety purposes, or the PIN would be emailed. So technically you can avail the Freedom 251 offer, Once the card is received via Courier Delivery. The Loyalty Card will have your Name & a Unique 16 Digit Membership ID number engraved on it. So get ready for some action on 1st Sept 2016, because it's going to be hot. 7.) Let's say I completed the above process and received the Loyalty Card delivered to my address. Whereas I make a purchase at that same day, Will I get the Freedom 251 smartphone? Ans: Well partially Yes, I had a talk with a concerned person, and they've confirmed that the Freedom 251 delivery will be out in December, and you can be assured of it. 8.) Here, take my money. Why all that Drama? Ans: Well, In my opinion, every company tries to do marketing to the next level, Trying different aspects to come up with something much more attractive & also giving critics a subject to talk. Well, I guess the answer to this might be Marketing. Whereas this might also streamline the booking process of the Freedom 251 smartphone too, As previously there were site issues due to loads of traffic nationwide. 9.) What would be the Mode of Payment for buying the Loyalty Cards? Ans: Since they had started Cash on Delivery options for Freedom 251 sale on the 2nd day of the registration process, It seems there might be an Option Available for C.O.D on 1st September 2016. Whereas other payment options would also be available, just like we've witnessed earlier. Stating the details about their loyalty program, the Spokesperson added, "We have completed one year in the market & have so far delivered more than four lakh units including almost 70,000 units of ‘Freedom 251’ smartphones. The response to our products has been good & hence we have come up with this ‘Loyalty Programme’ to celebrate our anniversary & give more respect to our valued Customer." So it'll be interesting to see how this ends on 1st Sept 2016. Will the company nail it Or Would they receive a critic treatment on the Loyalty Card Sale(link) itself? Only time can let us know. 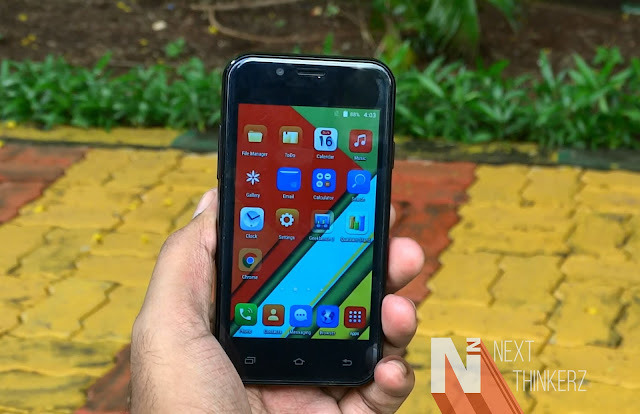 In the meantime, We would soon come up with a detailed review of the Freedom 251 Smartphone, So make sure to comment on this video if you've any queries in specific. Lastly, make sure you are all set on 1st September at 1 PM to opt into Loyalty Cards Sale. I would suggest you to be online, 10-15mins prior the sale, just in case. Apart from that If you've any other queries, you can call Ringing Bells here: 000-800-100-4446 (toll-free) Or Directly comment down below, so that I can get that sorted out for you as soon as possible. Whereas make sure you share this with your friends and family Because this is the easiest way to grab a Freedom 251 Smartphone for free. Freedom 251 Mobile: Everything You Need To Know About The Controversies. I have asked them to give specifications about Powerbank through FB. They asked me to mail them on info@ringngbells.co.in. When mailed, Mail got bounced. Have asked them again about it on FB. Hi Anand, It seems you've spelled ringing wrong in the mail.